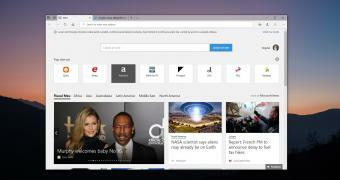 Home » News » Goodbye, Microsoft Edge, You Won’t Be Missed! Goodbye, Microsoft Edge, You Won’t Be Missed! It’s no longer a secret that Microsoft has a hard time building a successful browser, and after Internet Explorer, whose failure is already history, Microsoft Edge is very close to getting the boot as well. Launched with much fanfare as the new default in Windows 10, Microsoft Edge evolved from a very promising browser to a complete letdown, partially because for some reason, Microsoft forgot about the original plans and changed them several times in the meantime. Microsoft Edge only received refinements as part of new OS feature updates, so the browser got new features when Microsoft published new Windows 10 versions. At some point, it was speculated that the company was exploring ways to bring the browser to the Microsoft Store in an attempt to deliver updates more frequently, but it eventually dropped this idea.